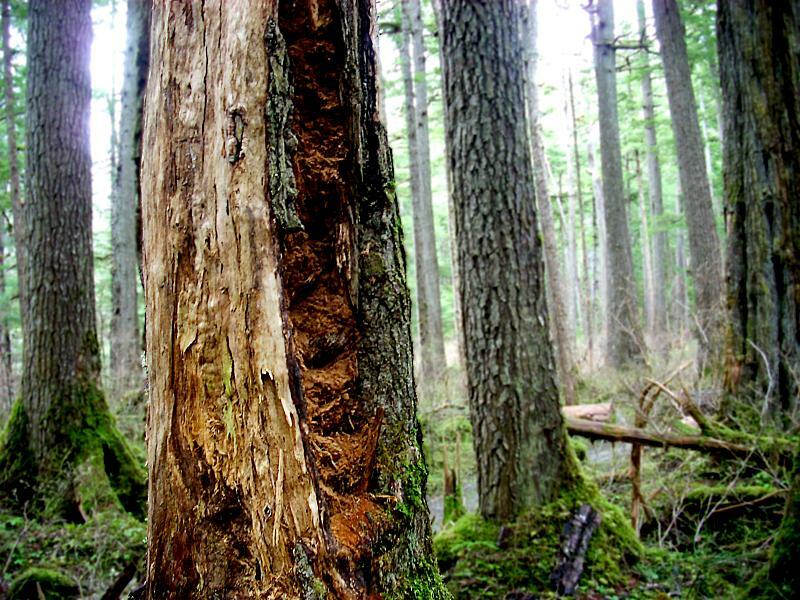 The Tongass Land Management Plan amendment, a 16-year transition toward young-growth logging, was finalized Friday. Tongass Forest Supervisor Earl Stewart signed the record of decision after considering objections from environmental and industry groups. Some have applauded the decision and others are unsatisfied. But regardless of sides, not much has changed in the Forest Service’s move away from old-growth timber. 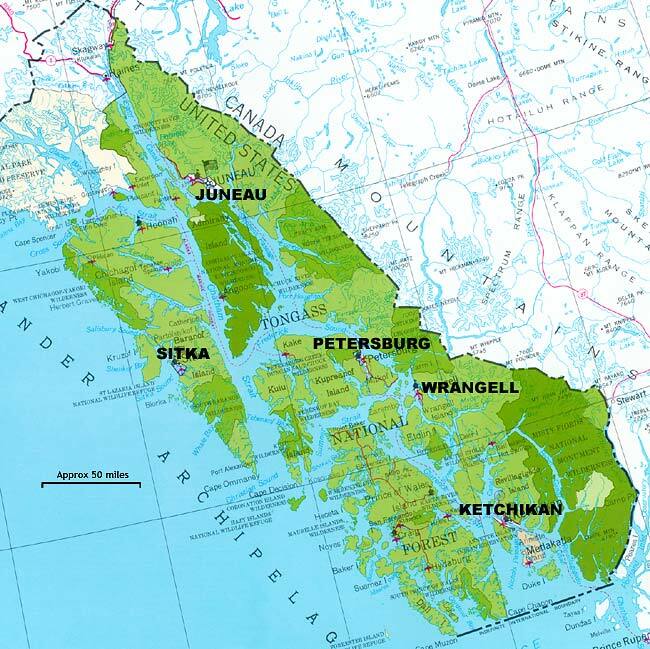 The U.S. Forest Service released the final record of decision for the Tongass amendment without many changes from its earlier draft.The plan offers an average of 46 million board feet each year, the same volume the earlier draft called for, but far below the glory days of the timber industry. More old growth will be offered during the first 10 years, almost three times the projected 12 million feet of young growth. During the last five, young-growth volumes will more than double and old growth will be almost cut in half. At the end of the 16-year transition, only 5 million feet of old growth will be provided for small sales and specialty products. Some of those objecting to the draft plan called for a full inventory of young, or second growth, trees. Environmental groups argue a completed inventory will show a faster transition is possible. But industry groups argue the exact opposite. Tongass Supervisor Stewart addressed the concern in a press conference, saying 50,000 acres will be inventoried by 2018. Forest Service tree expert Sheila Spores said a large portion of young-growth stands slated for logging were first cut in the 1950s and 1960s. She noted that the agency is aware of how many stands are on the Tongass. She said today’s regulatory standards will be applied to inventory available stands. Stewart explained that any young-growth acreage made unavailable may be swapped for additional lands elsewhere. The decision explains that if amounts of timber harvested vary enough from estimations, those issues could be addressed in another amendment. The committee was made of 15 members from conservation, logging and Native interests. Thoms noted that he would like to see old-growth logging end immediately, but said the amendment is the best compromise. Other environmental groups argued in press releases that the decision’s language didn’t set the old-growth harvest volumes in stone during the transition. Others say they feel comfortable with the plan being finalized prior to President-elect Donald Trump taking office. Shelly Wright of Southeast Conference, an economic development group, argues the decision was made without enough information. The Tongass plan decision does say the Forest Service will monitor market demands and make changes through its adaptive management plan. Tongass Supervisor Stewart also mentioned that a study is being developed to examine ways to make young-growth products profitable. The plan will go into effect on January 8.